MUA is an amazing high street brand and I still find it hard to believe how cheap their products are. Admittedly, when I first bought their products I was a little sceptical because I thought maybe quality had been compromised because of the low prices but this isn’t the case at all. 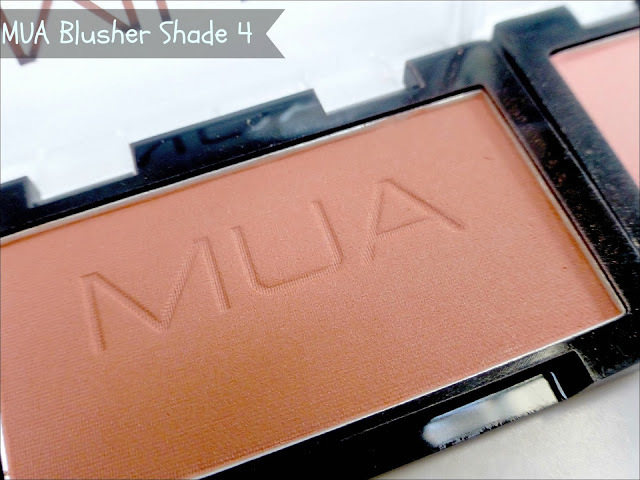 So far every product I have bought from MUA I have been impressed with, particularly their powder based products such as their eyeshadow’s and blushers. 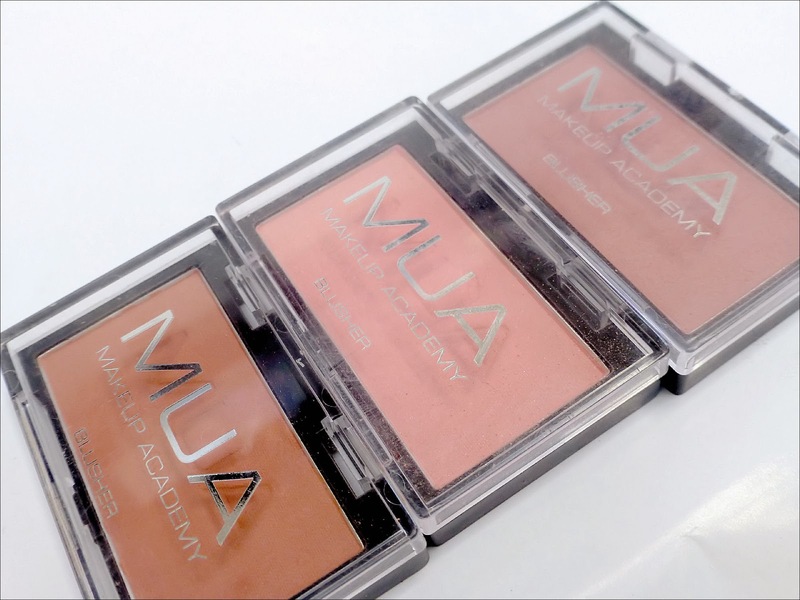 The three MUA powder blushes I have in my collection are shades 1, 2 and 4. It’s a shame they don’t have proper names because it is much easier to remember what ones you have and also adds a bit of fun to a product but I guess what really matters is the product itself. 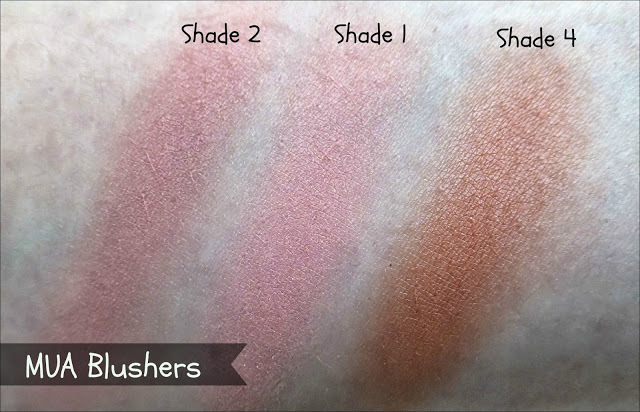 All three of these blushers are well pigmented and give a beautiful, natural flush of colour on the cheeks. Although the pigmentation is good, it isn’t so overpowering that you find yourself getting into a mess by having too much on your brush so these blushers are perfect for people who want a no fuss blusher or are new to makeup. The consistency of the MUA blushers are also impressive. They blend extremely well so are brilliant to work with and you get a huge amount of product in the pan so they last ages. The powder is soft and doesn’t leave a chalky finish on the skin. I also find them long lasting although I have combination skin and my cheeks are on the normal-dry side so I never struggle keeping my blusher in place. This is a pretty pale (ish) baby pink which suits pale – medium tones skin. It has a very subtle shimmer running throughout it which looks gorgeous and brightens up the skin without being too much. This is the perfect summer shade but I wear it all round. I find shade 2 to be a more natural dusty rose colour and a very easy shade to wear for lots of skin tones. I particularly like wearing this shade throughout Autumn because of the slight plum tones and the subtle shimmer helps to make the skin look refreshed and healthy. Shade 4 is a pretty peach which will suit a large amount of skin tones. This is the most pigmented blush out of the three and is a simple, easy to wear shade. Again, this blusher has a very slight shimmer which gives the cheeks a subtle glow but it isn’t too much as the flecks are very small. 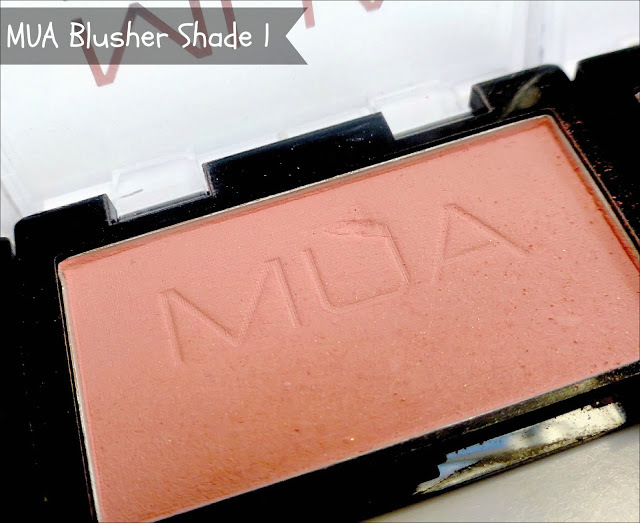 This is a great all year round blusher. 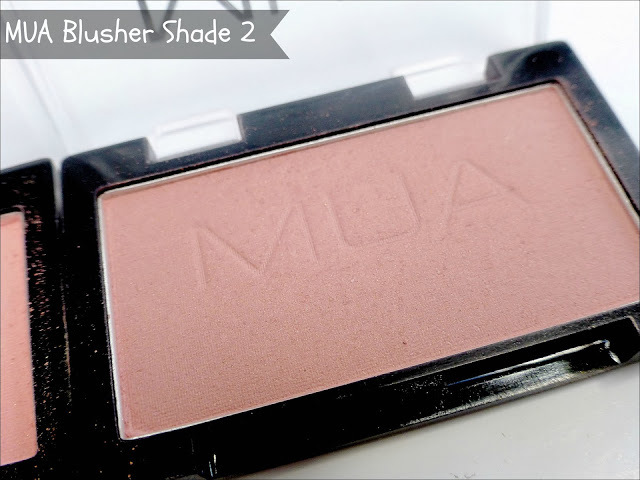 The only thing about the MUA blushers that I’m not so keen on is the basic packaging because it isn’t particularly ‘pretty’ to look at and doesn’t seem too sturdy either. I also struggle to open them using the catch at the front so instead I pop my nail underneath the corner (pray it doesn’t break) and the lid easily prises open. Despite this, I love these blushers and will continue to use and buy them. They are brilliant value for money priced at only £1 each so who really cares about the packaging.. it’s what’s inside that counts! 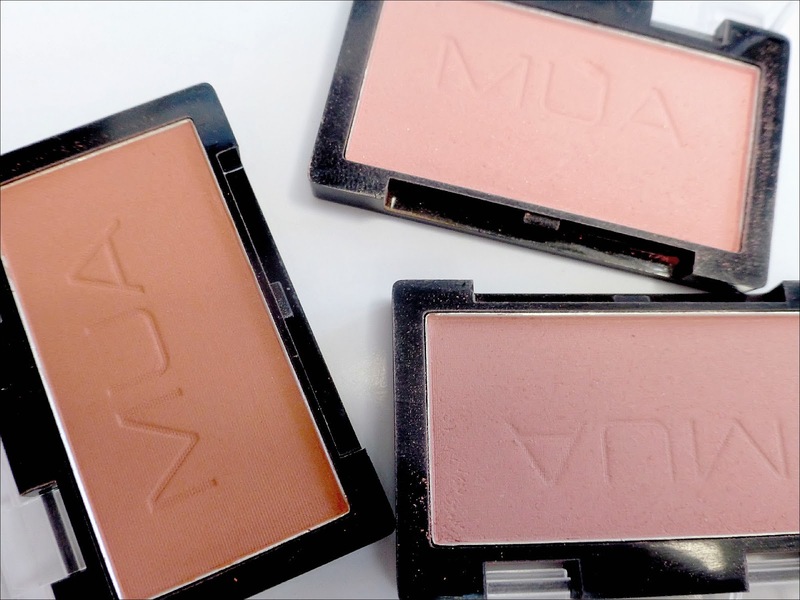 You can pick up MUA blushers from superdrug. What do you think of MUA blushers? The colors are so pretty. I've never tried an MUA product before but when I do I'll start with these. Never heard of this brand before but they sure have some beautiful blushers! I want these! They look and sound amazing.